I mentioned this lovely lady yesterday and again today she has inspired me! Far too often we are either busy capturing the moments of our children or too worried that we haven’t applied makeup that morning to hop in the pictures with our kids. Pictures of just our kids. For me that’s a sad thought. So I decided to Embrace the Camera with Emily today. 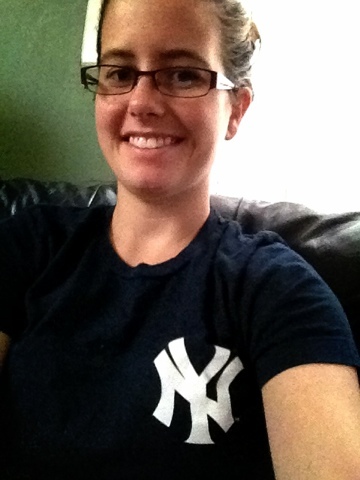 Here ya go…no makeup, hair not done, and reppin’ my fav baseball team the Yankees!